I don’t usually get this excited, but when I arrived in Barcelona on Sunday evening, I was like a kid in a candy store. 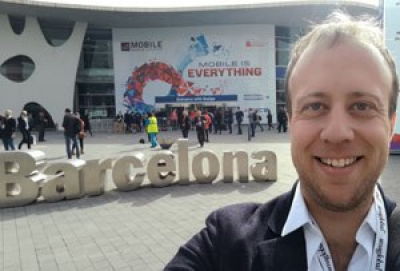 I was so pumped to check out the launch of the 2016 Mobile World Congress (MWC). I was there to see some pretty cool s**t and the first day did not disappoint. A bit of background though before I get into it. The MWC brings together some of the world's largest and most innovative tech organisations, showcasing a diverse range of the latest mobile applications, cloud & green technology, mobile money, wearables, virtual reality, augmented reality, NFC technology and so much more. 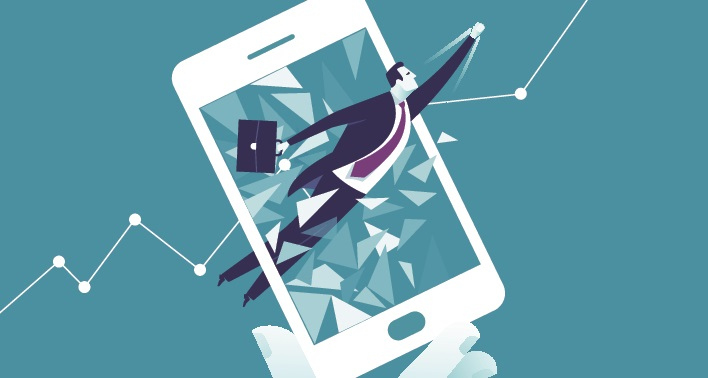 Over the four days I’ll be here in Barcelona, they say that roughly 2,300 companies will showcase the latest mobile innovations to an audience of over 100,000+ attendees from around the globe. This year I’ll be reporting live from the insanely big Fira Gran Via & Fira Montjuic centres – exploring the world of mobile connectivity and getting a true grasp behind the idea that ‘mobile is everything’. Stay tuned over the next couple of days as I bring your further updates from the MWC. Here’s just a snippet of what has been on show so far. 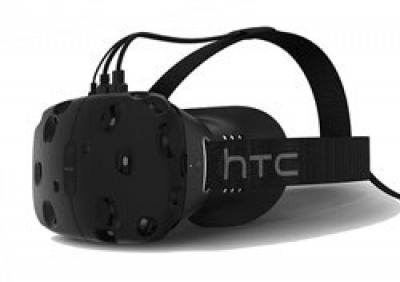 I got a chance to check out the new HTC Vive VR headset. The much-anticipated device now has a price and launch date. It was announced on Monday for the first time that it would be on sale for $799 US, and that they are expecting it to be available for purchase in early April. The Vive package comes with a headset, two wireless controllers, a Vive Link Box, two 'lighthouse' base stations, and a pair of Vive earbuds. You can also plug other headphones into the headset's jack if you don't like the stock headphones that come with the Vive. 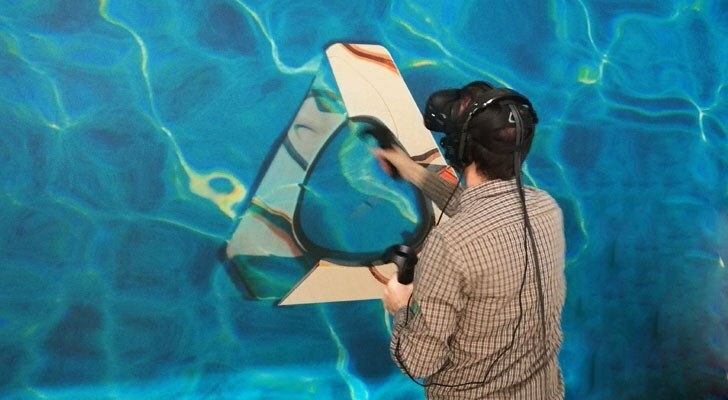 I found it cool as well that the Vive can be linked to your smartphone - so if you get a text, a phone call, or a reminder, you'll be able to respond without having to take the headset off. The Vive is going up again the Oculus Rift, some pretty stiff competition which is slightly cheaper and priced at $599. I'm looking forward to getting lost in the virtual world very soon! 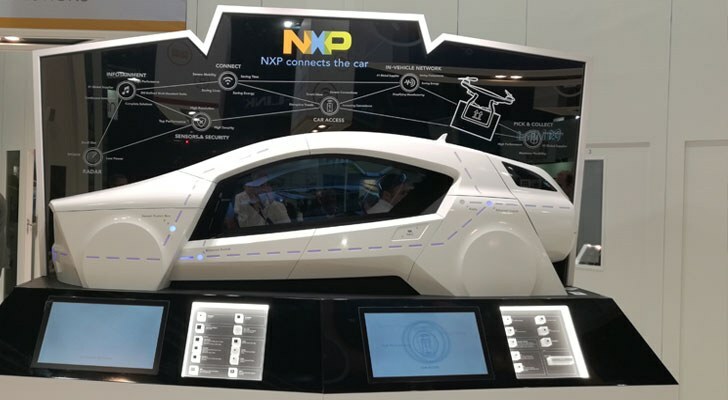 The Rinspeed concept car from NXP was a pretty big stand out for me at the event. Intelligent licence plates that are readable over 50 meters and let you access certain private parking spaces, NFC technology that allows you to open the car, start it and open the boot… which can be used as a kind of ‘post box’ I guess if you wanted to have packages delivered to it from an external party. It also has autonomous driving, high-performance radar’s, and connectivity and convergence to almost every part of the vehicle. A pretty cool concept and something I’ll certainly be looking forward to introducing into the AMG soon. So CAT blew my mind. 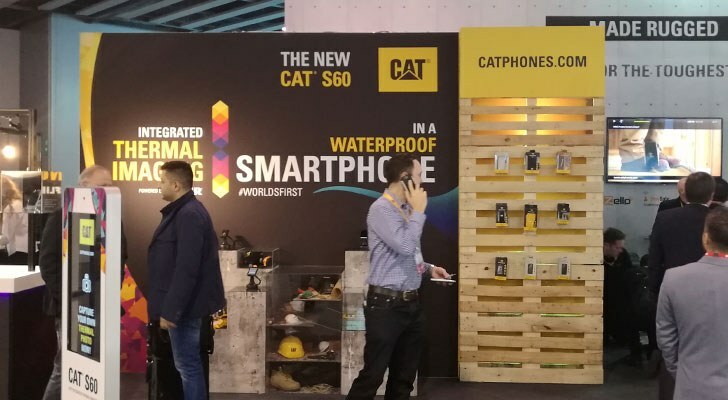 It's pretty impressive to see a company you wouldn't necessarily associate with innovative mobile technology, being a stand out at one of the world's largest mobile conventions. But that's why I come to these events. 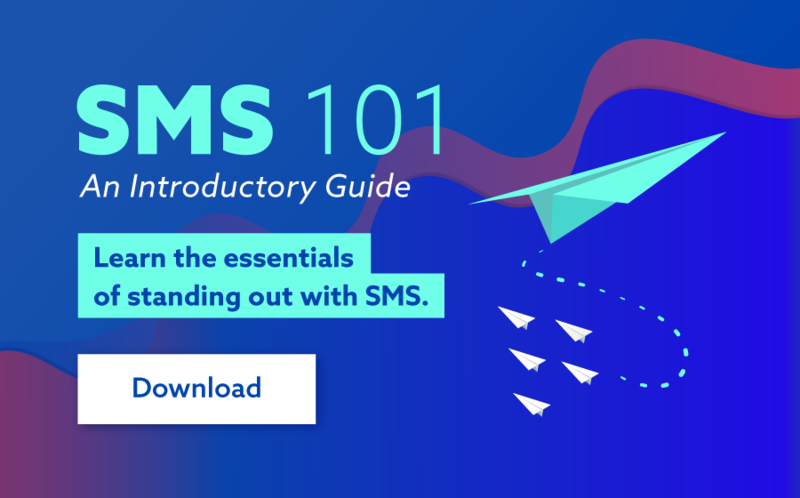 To get a grasp of what's going on in the technology and mobile world. 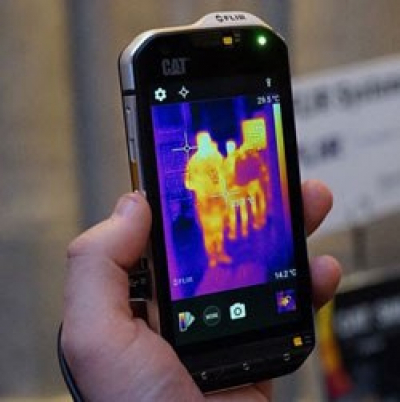 CAT introduced the S60 which has a built-in thermal camera for checking temperatures, spotting hotspots and even finding people trapped in wreckages. Some pretty cool stuff. I know CAT is renowned for being tough, but the S60 takes it to a whole new and crazy level. The phone is also waterproof up to 5m, tough and designed to survive a fall of up to 1.8m and certified to US military specifications for shock, heat, dust, salt and other conditions that ruin regular smartphones. I think this sort of technology sets a pretty impressive standard for the future of smartphone development. I’ve seen concepts for virtual shopping before, but never this cool. 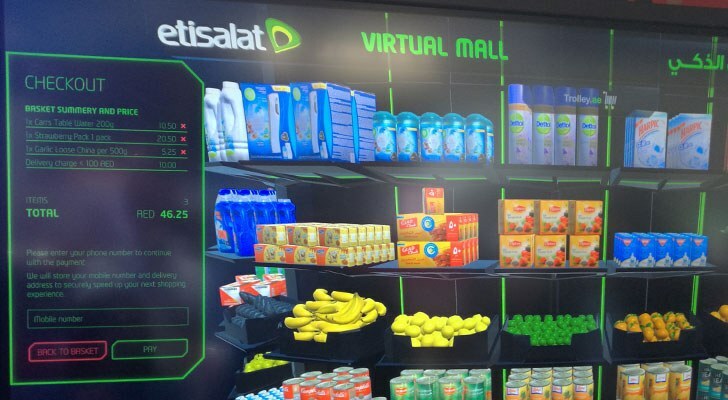 The ‘Smart Mall’ is a virtual supermarket allowing people to buy off a virtual shelf stocked with all kinds of goodies. The Smart Mall from Etisalat offers a pretty immersive experience, allowing you to digitally interact with stores and explore products in 3D. You can choose products through a simple graphical interface and move selected items to a virtual checkout basket. You then pay with, mCashier, which is an EMV certified payment solution. A pretty cool idea, but it did miss one thing. Smell… they should get in touch with these guys and work something out which will allow users to 'smell' before they buy. Overall a pretty amazing first day - with some pretty impressive mobile technology setting an extremely high standard for the rest of the week. Make sure you keep up to date and follow us on The Hub for more. Make sure you stay tuned for some more pretty cool s**t from the Mobile World Congress. Check out my second day at the Mobile World Congress here.